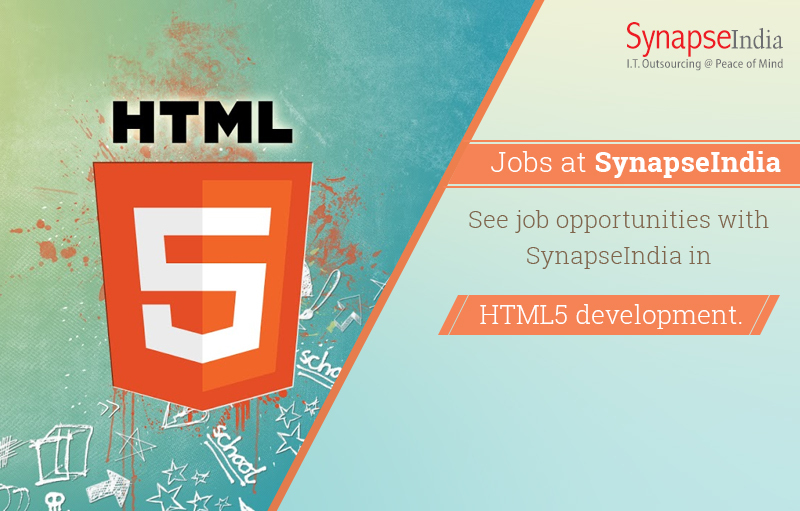 Checkout SynapseIndia jobs opportunities for HTML5 developers at company's Noida based headquarter office. We're hiring for innovative professionals having experience in HTML5 development. At SynapseIndia, the eminent IT solution provider company in Noida, our experienced professionals bring in-depth knowledge of creating remarkable HTML5 web and mobile apps. We serve clients globally with world-class & high quality solution. Having the experience of more than a decade in serving global clients, we have delivered effective solutions to clients from a comprehensive range of business domains. Interested to join our team, visit our company website and apply forSynapseIndia jobs.